Fine art, posters, stock photography, drawings, animations... photographers and artists have long been using this visual platform to sell their work. In fact, according to Oberlo, the leading marketplace for entrepreneurs to search and find products to sell online, you can sell any physical product that you produce yourself or purchase from suppliers. As of February 2018, you can sell products directly on Instagram through Instagram Posts and Stories - just tag products in your Instagram images and lead your Instagram followers to your product pages. Also Read: Data breach and cybersecurity: Challenges and solutions! India is Facebook's biggest user market with 270 million users - around 13% more than the next biggest market, the US. So chances are that you already have a Facebook account. The next step is to create a Facebook Page - think of it as a digital shopfront that will allow the more than 2 billion people on Facebook to discover your content or business. To know the potential of this option, you only need to look at Inshorts, a startup that began as a Facebook page in 2013 and reported a revenue run rate of over Rs 60 crore in the last fiscal. You just need to figure out a niche area, analyse the demand and make sure it will attract a lot of people and start sharing fresh, original and attractive content. Don't forget to make hashtags your best friend. According to a study by Piqora, which analysed 150,000 posts from brands on Instagram, seven hashtags per photo post generated the highest engagement on Instagram - fetching up to 23% more likes. If your Facebook page has a huge number of active followers and the page gets good engagement, brands are ready to offer you sponsorships, deals and money in return of you promoting their content on your page. Of course, it is not an overnight earning prospect. 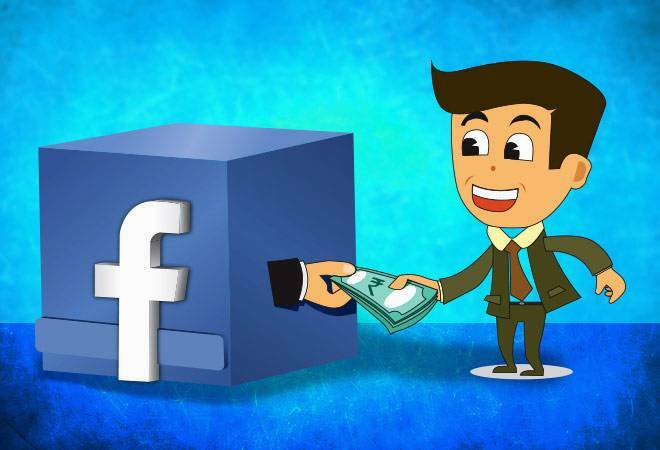 If your Facebook page has good reach, you can also register to become an affiliate on retail or e-commerce sites - this entails promoting products related to your niche space from those shopping sites. You can add affiliate links on Instagram so long as you have a business account. Content creators get a commission when their followers purchase products after clicking on affiliate marketing links included in their social media posts. There are a host of affiliate programmes to pick from, but Amazon is a good starting point. If you have enough followers and your posts see great user engagement in terms of likes and shares, you can leverage your influence to promote specific brands and services. And the latter will pay you for it. If you already have tons of followers, brands will seek you out themselves. But if you are still getting started, joining influencer communities is the way to get connected with relevant brands and get started with sponsored posts. This feature introduced in 2017 allows people to buy and sell items locally. Working similar to OLX and Quikr, Marketplace lists products from all categories such as clothes, electronics, vehicles, furniture and more. Buyers can also make refined searches by using filters like price and distance in that city, and the best part is that it's a free feature. If you have a unique or rare item, you can land a good deal. This job involves helping brands and businesses increase user engagement on social media platforms, be it Facebook, Instagram, Twitter, LinkedIn, Pinterest et al. Naturally, the only way to gain significant traffic is by creating content that actually grabs eyeballs and makes people want to share it. The job description also includes communicating with page visitors. According to Neil Patel, author and one of the top influencers on the web, with social media algorithms increasingly prioritising advertisements, businesses are willing to shell out more and more. This is why social media ad spend is on the way up. Advertising budgets for social media doubled from 2014 to 2016. And as a social media marketer, you get to make hay while the sun shines.